The Phoenix Astronomical Society (located in the lower North Island of New Zealand) is an active and enthusiastic society whose aim is to make astronomy accessible to everyone whatever their level of interest and knowledge; to increase public awareness of astronomy and related sciences, and to share with others the mysteries and wonders of the universe of which we are all a part. If you are thinking of becoming a member but you are not sure, contact the secretary@astronomynz.org.nz and we will send you a complementary electronic copy of our latest Newsletter and free pass to one of our society meetings. ​Work is progressing on the Solar System section of our Astronomy Centre. Richard Hall is developing the displays and working with Kathryn Truscott on the orrery. Dennis Johnston has been working on the new wall section and decorating the room. However, Dennis will be out of action for a while as he has now gone into hospital for a hip replacement. Get well soon Dennis. None the less, we hope to have this section of the display area complete before Christmas. The Phoenix Astronomical Society’s financial year ends on 31 March and subs become due on 1 April. If you can pay your subs as soon as possible it will enable us to continue to work towards our goals. 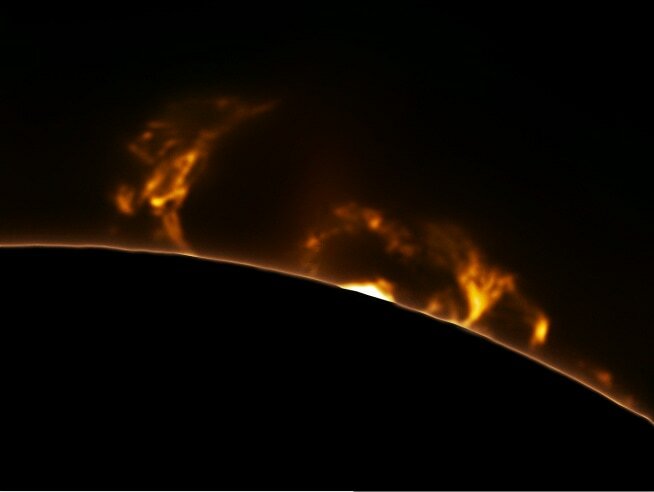 You can post a cheque to: The Phoenix Astronomical Society, P.O. Box 156 Carterton, 5743. Or pay directly into the TPAS bank account: 03 0521 0205810 00. Please clearly identify your deposit. ​The observatory roof and roller system have been repaired. The mirrors for the 23” telescope are currently being re-aluminised which, when completed, will bring our largest telescope back into first-class working order. The 23” should be back on line by March. This work is being carried out and financed by Ian Cooper. The ‘Go-to’ telescope is in working order. The 10” Mead telescope has been returned to the observatory. It is currently on a portable mount and is to be mounted on one of the piers. Kay Leather has supplied a kitset building which is to be built near the Phoenix observatory to house telescope equipment and portable telescopes. (The kitset is currently in the carpark). The grounds around the observatory have been bulldozed for the building and to provide an additional site for portable telescopes. This observatory, which can now be used for astrophotography, will house our solar telescope. The roof and walls have been fully repaired and are now watertight. Cables have been laid to the observatory to operate an automated solar telescope. The live images will be transmitted to a large screen in our lecture theatre. A separate fund and fund-raising have been set up to purchase the solar telescope. We currently have about 90% of the funding required. The whole site for the Matariki Observatory has been cleared and levelled and now has an additional access road. Work on this project will continue when the Phoenix and Solar Observatories are fully functional. Another innovation to our observatory complex is radio astronomy. Data, sound and images will be transmitted to the lecture theatre. 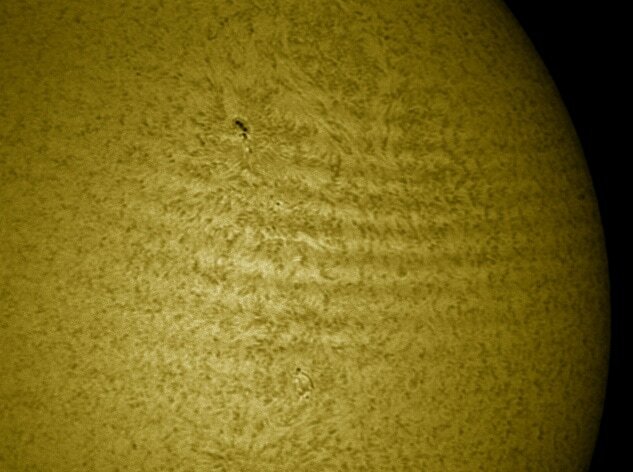 Observing programmes will include solar and Jovian radio activity, meteors and pulsars. ​The clubrooms have had one wall replaced, some interior walls have been repainted, and new curtains have been installed. The lecture theatre now has two functioning electronic screens and a photographic display by Stephen Voss on solar activity. When the kitset building for telescopes and equipment is completed, we will be able to further develop the lecture theatre area and install the orrery. Preparation work has also been carried out on the outside walls but painting needs to be completed. We need to get our projects completed more rapidly requiring more workers. If you are prepared to come and help out on working bees, to help build and maintain our astronomy facilities, give us a call. YOUR SOCIETY NEEDS YOU! Lunt LS60THa telescope has arrived on site. It has a 60mm clear aperture, a focal length of 500mm and a bandwidth of <0.75 Angstrom. The ‘tuning’ system on the Lunt LS60THa is different from the LS35THa and is unique to Lunt telescopes. It works by changing the air pressure within the telescope itself. This allows the Etalon surfaces to always remain at the same perfect angle to the light waves but changes the diffractive index of the air in the chamber and thus accomplishes the same result as the tilting system found on traditional solar telescopes. The system has to be set for your altitude. 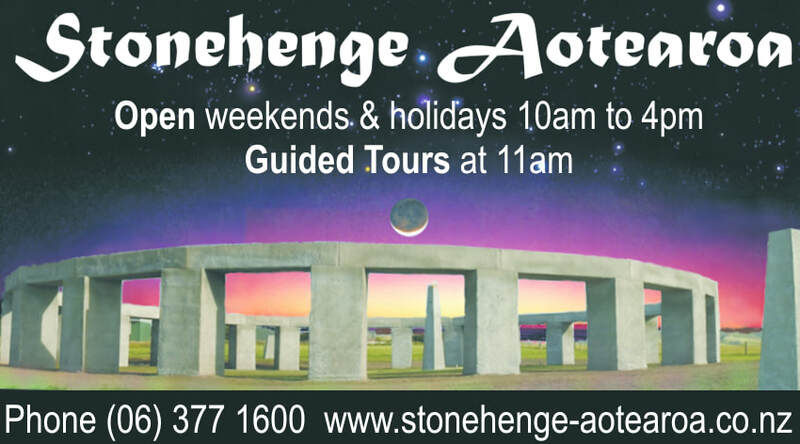 94m above mean sea level at Stonehenge Aotearoa. Also arrived on site is the DMK 41AU02.AS imaging camera. This is a monochrome camera which will be used in conjunction with the solar telescope. There are various cables and connections that need to be purchased but the society has $400 in the savings account that can be used for these purposes. All that remains is to set up the equipment and get viewing. Congratulations to you all for helping to achieve this goal.